You picked up a small apartment, thinking that it is ideal for a family of four. Well, it was for the first few months or years, but as the kids grew up, the needs and requirements of the family increased. As days passed by, it became more and more inconvenient. There were books, CD’s, clothes, and what not thrown in one corner, thus, making it difficult to store stuff. No amount of organizing helped in making more space and your desperate measure finally came down to taking up self-storage. Are you making a wise choice? What are its advantages? Read the blog to find out. 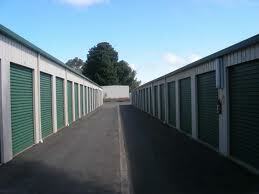 ü A self-storage can help you store anything and everything without causing any trouble. Moreover, you can find one that is close to where you stay or work. ü It is flexible. It gives you the exact space you need for as long or as short as you like. ü Most of the units have free access 24/7. ü The storage unit is safe and secure. You have an option to opt for individual locks, security guards, surveillance cameras, etc. Quite a lot of units provide weather proofing as well. ü If you have special items you can choose to go for a climate-controlled self-storage. Thus, you will not have to worry about the weather being damp, hot, or cold. As a result, you can very easily store your art work, antiques, etc, and be completely rest assured about its safety. ü The units are economical. This is because you pay only for the space you occupy rather than paying for an entire unit or room you would otherwise have to rent. ü Most importantly, it helps you de-clutter your place. You can store your seasonal items, books, clothes, additional furniture, etc when not in use. Self-storage can give you freedom to store stuff the way you want and give you the peace of mind like no other unit can.